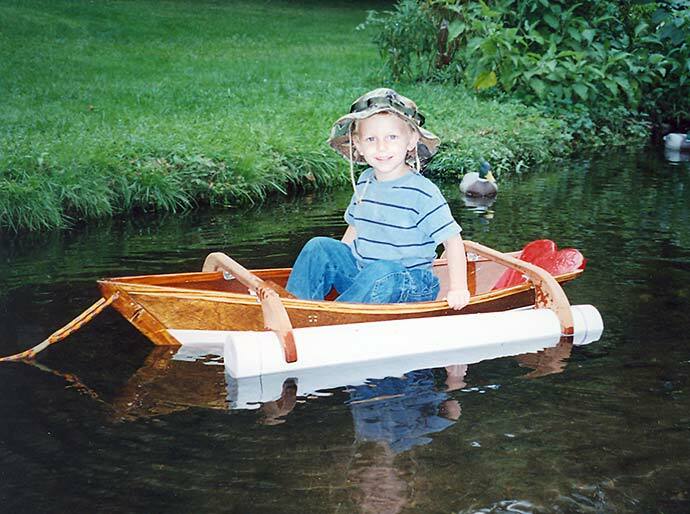 Andrew German's grandfather built him this pontoon dory when he was just 4 years old. They launched ANDREW K. in August 2002. Andrew just fits in the boat, since it is only 4 feet in long. The boat is built of glassed 1/4" mahogany plywood with frames of Douglas fir. Pontoons are made from PVC.